A seven-strong NHS comms team could be taken over by an external agency as the East London NHS Foundation Trust aims to make savings across its services next year. East London NHS Foundation Trust (ELFT) is undergoing a competitive tender process for the provision of its comms and marketing department, sparking uncertainty about the future of its current staff. The contract – which is valued at up to £650,000 a year – could be awarded for up to five years and is expected to come into operation on 1 April 2018. Documents created as part of the tender process show provision for six roles in the team in only the first year of the contract’s operation. The contract sets out a list of roles that would be covered by TUPE regulations to transfer the staff to the new operator and observe previous terms and conditions of employment, but the director of comms role – currently an interim position, filled by Steve Gladwin – is not included. The staff who transfer would then become employees of the winning agency, rather than continuing as NHS staff. Current staff at the Trust include: a head of comms; deputy head of comms; internal comms and intranet manager; media, stakeholder and web manager; marketing manager; and comms assistant. PRWeek understands that employees working at the trust are concerned about the decision and fear for their job security. A source told PRWeek: "I think this is the start of a domino effect which will affect Trusts across the UK." The aim of the new deal, according to ELFT, is to "raise awareness of the Trust’s objectives, activities, opportunities and successes", while "supporting the launch of ELFT’s revised ambitions and its emerging commercial strategy", which are currently being devised. The Trust is also required to make cost savings, along with other NHS providers, as part of a government drive to cut costs through a scheme called Cash Releasing Efficiency Savings (CRES), which means providing the same services for less money. NHS comms chiefs have criticised the Government over the critical issue of funding, with one senior comms professional calling it "open warfare" between No. 10 and NHS leaders. Dr Mohit Venkataram, director of commercial development at ELFT, said: "East London Foundation Trust is currently carrying out a procurement exercise for its communications and engagement services. 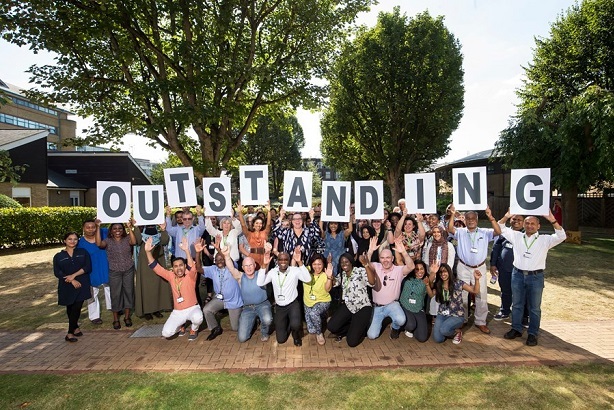 "ELFT is an ambitious Trust which has received increased attention since being rated 'Outstanding' by the Care Quality Commission and becoming Trust of the Year last year. "We want to see what communications expertise is available to help us meet those challenges and step up to the next level in delivering outstanding care for our patients. "The outcome of the process should be known by the end of January." Tender bids are now being evaluated. Shortlisted bidders are expected to be invited to present their plans at the beginning of January, with the contract awarded at the end of January and going live on 1 April 2018.